Updated design includes new premium English leather, fancy stitching and removable T-Foam liners. Great for girthy horses. Superior stability, comfort, fit and freedom of movement make the EquiFit T-Foam Anatomical Hunter Girth the most advantageous girth on the market. T-Foam Technology ensures a custom fit while absorbing shock and vibration. The removable and washable T-Foam liners help control perspiration as well as prevent irritation. To allow for easier breathing and movement, both ends are secured with double-thick elastic. 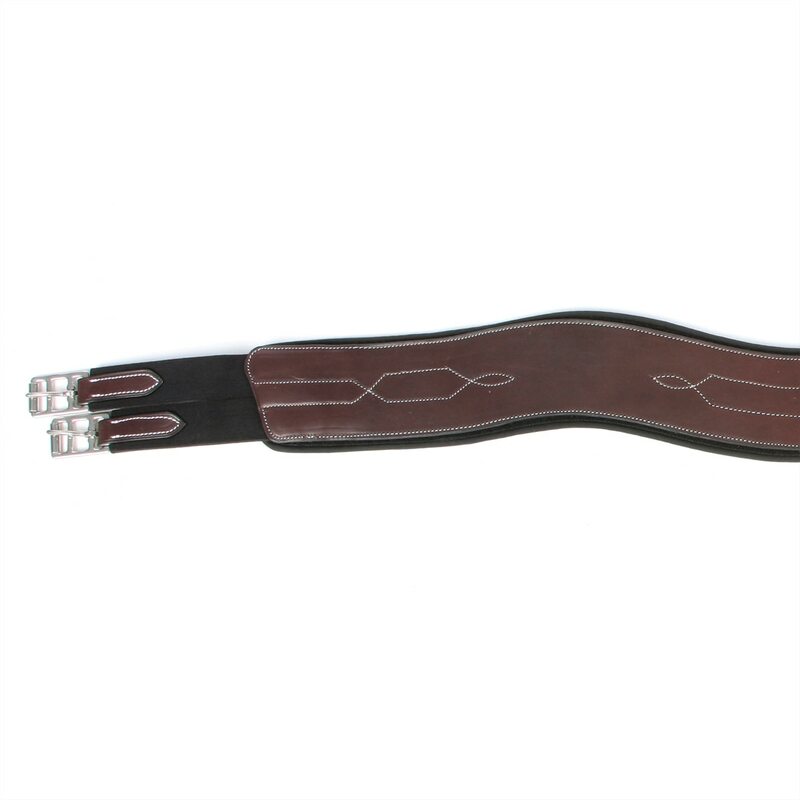 EquiFit T-Foam Anatomical Hunter Girth is rated 3.9 out of 5 by 8. Rated 5 out of 5 by Jess from Nice girth! This girth is lightweight and doesn’t rub my sensitive thoroughbred, who is very prone to sores and galls from leather and neoprene girth’s. The color is pretty too. The only con is, the memory foam freezes in the winter, so I just let it warm up on her back before I put it on. Rated 4 out of 5 by Emma from Nice girth good alternate to fleece Our trainer doesn't like fleece girths so this is a good alternate. It's a little hard to clean the foam liner. Will see how it holds up after more than 3 rides. Rated 5 out of 5 by jordanplunney from Love the T-Foam and Shape I actually really like this girth, I use it on both of my horses! The leather stays in good condition with proper care (I clean my tack every other ride, and oil when needed) and I haven't had any problems with discoloration. My martingale sometimes rubs on the middle section which creates a white residue but it is easily cleaned off with a sponge. I just washed the liner for the first time today an I'm interested to see how it holds up! 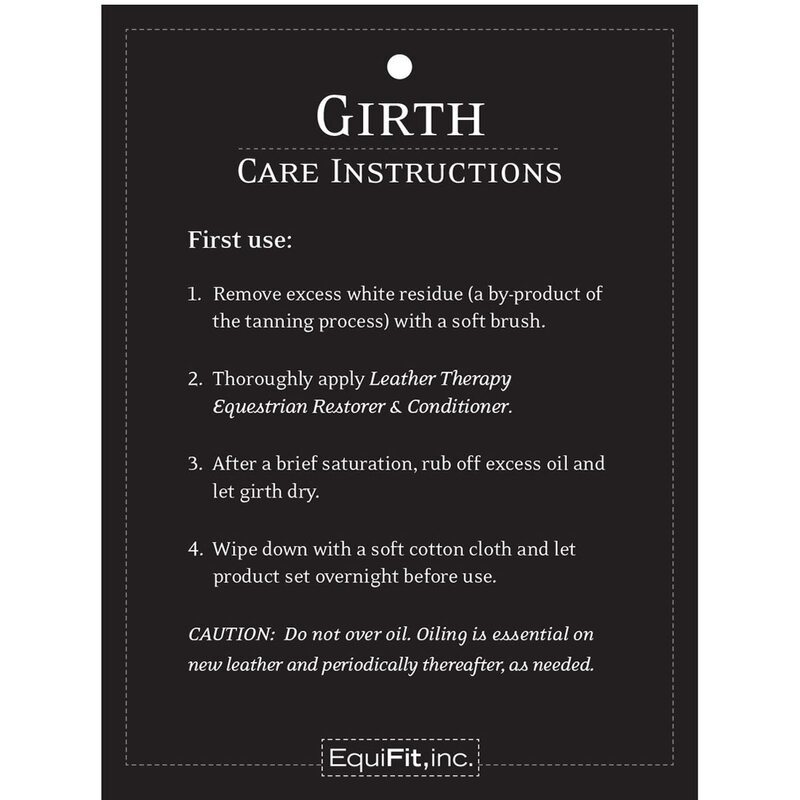 Rated 5 out of 5 by Dede from Great product Just received my girth and was so excited to try it - I found it to be soft enough from the start without a lot of oiling before use. My horse seemed to be extremely comfortable and free - so glad I purchased it. Rated 5 out of 5 by MauraPP from My new favorite girth! I got my first Equifit hunter girth this winter in Ocala, and now have 3 for my hunters! My favorite thing is that it comes already a beautiful, deep chocolate brown. Mine looks the same as when I bought it, and I've been pretty careful about paying attention to the cleaning instructions. The removable liners are cool and all, but for some reason my absolute favorite feature is the all black elastic ends. When you inevitably end up seeing it in an O/F photo, it looks much nicer. I kind of wish I did jumpers so I could get their bellyguard girth lolol. Rated 2 out of 5 by Susan from Quality not up to Equifit expected standard Thought that this was going to be a great girth. The liner did not hold up well, and like other posters I have had a very hard time getting it to hold the oil. Leather is a bit thin and not of the best quality that you have come to expect with Equifit products. Rated 4 out of 5 by JRevJumps from OK Girth But... I love EquiFit and I think their products are over all great but this girth is on the bottom end of their quality spectrum. It's a nice girth to school in but I wouldn't show in it. I was disapointed when I felt the quality of the "leather". It gets dirty easily and while easy to clean, it's not quality leather. 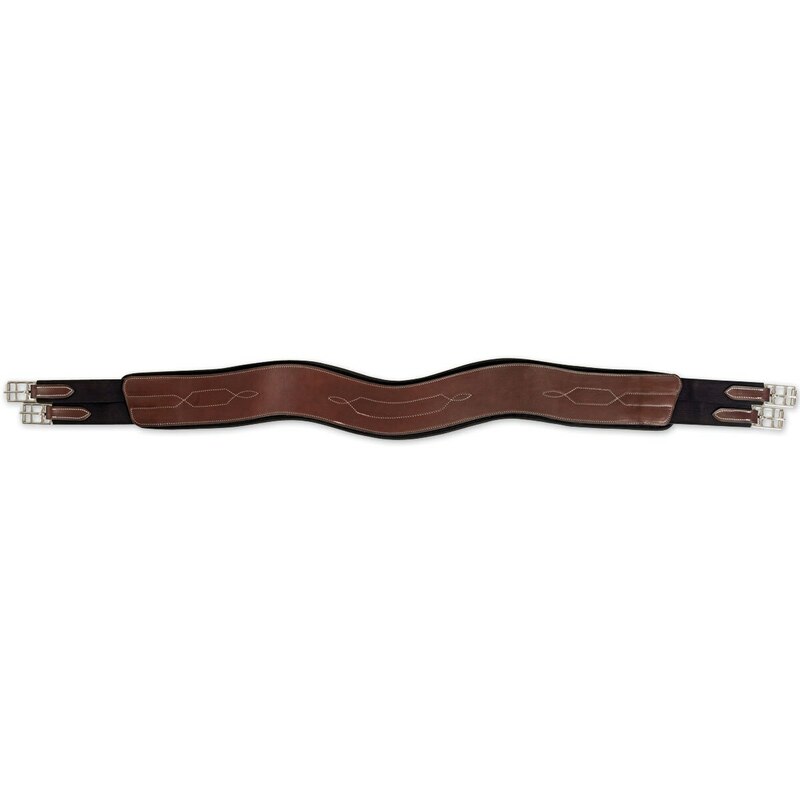 The bellguard girth is a CWD but this one is not up to that same standard. The T-Foam is a nice touch though and my horse appriciates the comfort it gives him. I wish it also had D rings on the sides and middle for draw reins and other training tools. Rated 1 out of 5 by morsekg from "Wear and Tear" I bought this girth because my horse sometimes reacts to the dyes in leather and I liked the cushioning of the equifit liner. It all started out well, with a great fit, but that was where it ended. Even from the first ride the girth lost it's nice dark coloring where my leg was touching it. After five rides I was appalled at how bad it looked. I tried oil to no avail. The leather must be cheap because it won't even soak it up. Smartpak contacted Equifit for me and they called it "regular wear and tear". Right...Returning this girth.